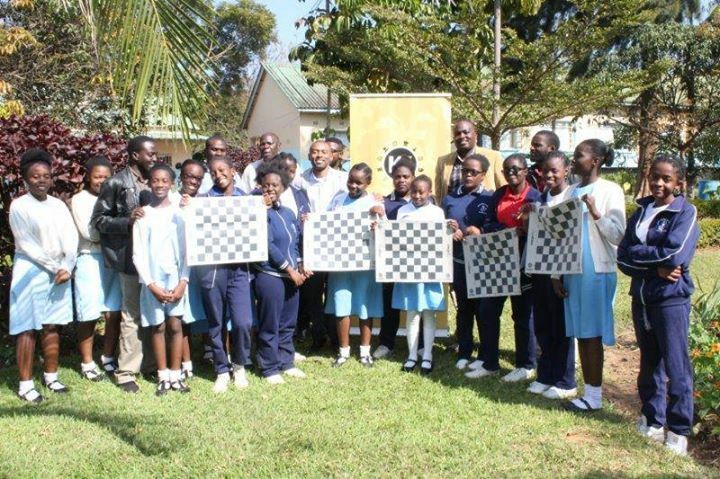 The third tour of the Chess Masters for Africa program in Zambia was conducted from the 19th to the 26th June 2016 by Grandmaster Kenny Solomon. His visit marked the final stage of the program which has already impacted in excess of 350 children across the country. 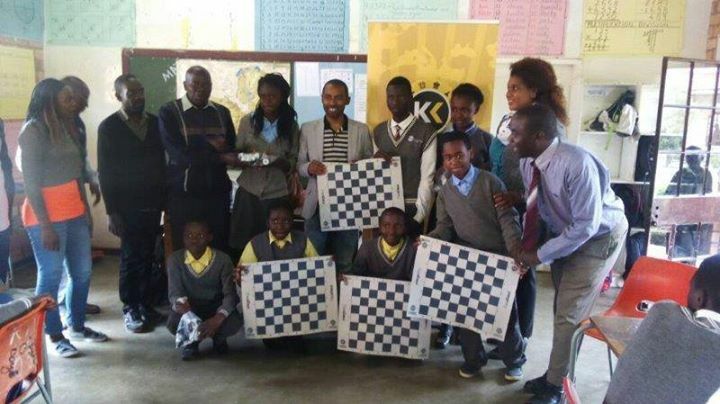 Kenny's tour commenced only two days after he won the Zone 4.3 Chess Championships in Livingstone, earning himself a coveted ticket to represent Africa at the Chess World Cup which is slated to take place in September in Georgia. Kenny flew directly to Lusaka following his triumph in Livingstone and immediately commenced with the roll out of the tour. 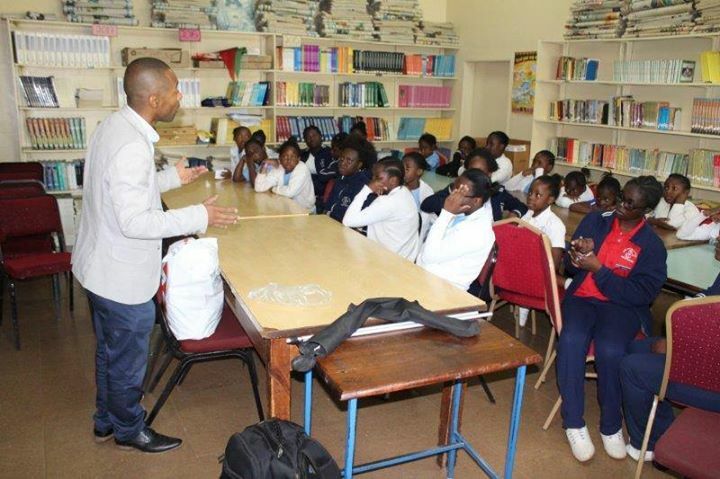 Day 1 was spent up-skilling the trainees – Kenny launched the tour by meeting with the trainers at the Russian Center and getting some insight into how each has developed since the inception of the CMFA program in Zambia. From the feedback received, the trainers have shown reasonable progress in both their individual playing strength and their ability to train children. Kenny shared with them the story of his own journey to becoming a Grandmaster and his philosophy on chess development. He then delivered a lesson on fundamental rook and pawn endgames and then illustrated how to convert complex endgames into these fundamental technical endgames. He also illustrated the importance of building patterns and studying how they are executed in real games played by Masters from the past. In the afternoon, the team visited the SOS Children’s Village which contributes the largest number of children to the CMFA program in Zambia. In total, 89 children were reached during this visit. The children were very well behaved and listened attentively to Kenny's motivational talk which encouraged them to keep their minds active through sport. At the end of the lesson, the children were encouraged to research on the past World Champions and come and name them the following day. The morning of Day 2 again started off at the Russian Center with GM Solomon building on the lessons from the previous day. Satisfied that the trainers had grasped the fundamental rook and pawn endgames, he proceeded to teach about combinative play and things to look out for in complex middle-games. He used a game played by Alekhine in 1925 as well as one of his recent games at the Zone 4.3 tournament to deliver the lesson. At around noon, ZNBC (the national broadcasting corporation) arrived on site and held an interview with Kenny and some of the trainees. 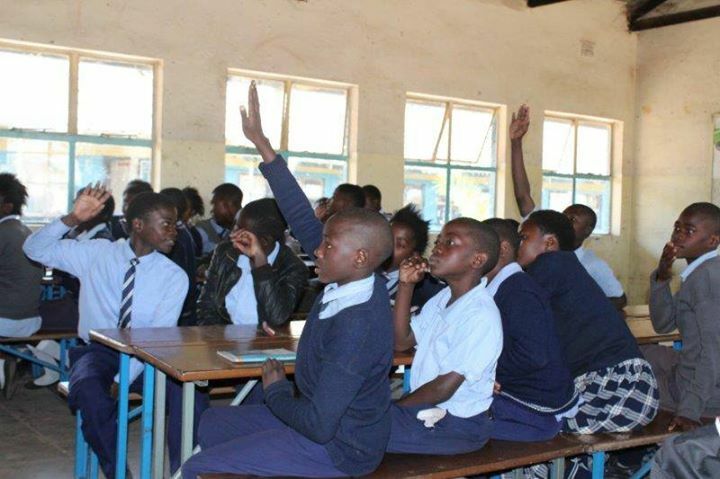 The journalists asked pertinent questions about the program and the impact it had on children in Zambia. It was aired on the main news bulletin later that evening. Once the interviews were finished the team paid a second visit to SOS Children’s Village. During this second visit, the children were taught about chess openings and the principles to observe during this phase of the game. 10 chess sets and two clocks were donated to the school and were gratefully received by the Principal and a delegation of senior teachers. 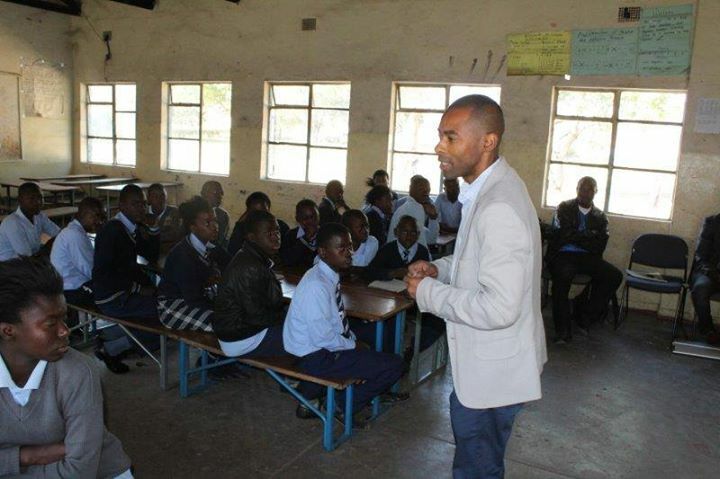 DAY 3 and 4 saw school visits conducted to Chibolya Primary School and Saint Mary Queen of Peace Girls Convent School. 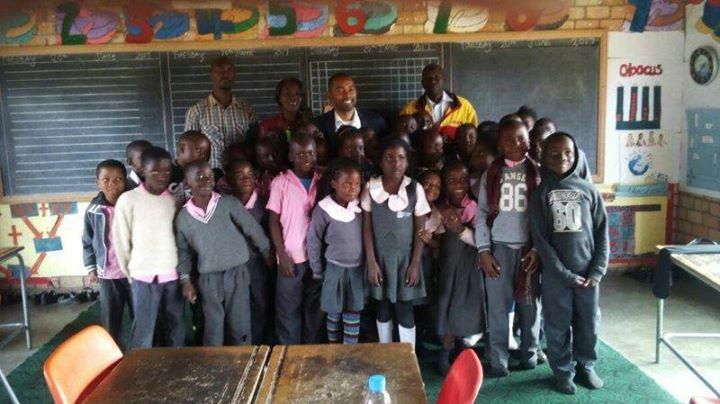 In the mornings, the team visited Chibolya, and in the afternoons they went to Mary Queen. 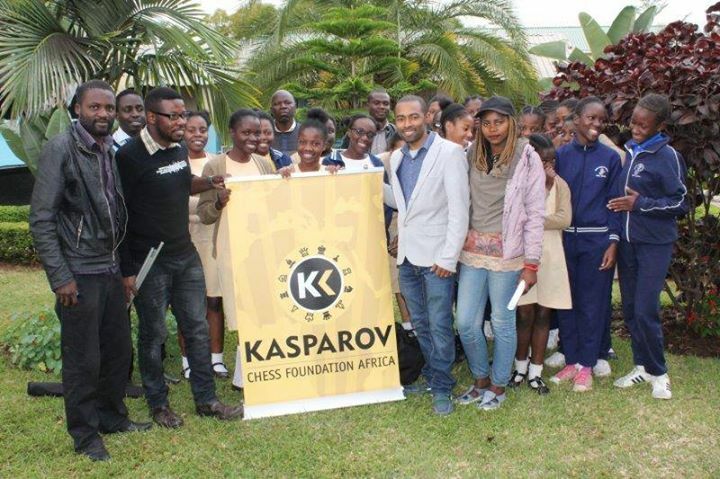 The Grandmaster delivered similar lessons to the two schools starting each lesson with a motivational talk while highlighting the benefits of chess and teaching the basics of the game. On the second day, a review of the basics was done to establish if the children could apply the knowledge they had acquired. It was impressive how quickly and firmly the children from both schools had grasped the lessons. GM Solomon also talked to the children about chess history which appeared to be a very exciting topic for them. 8 chess sets and two clocks were donated to each of the two schools and were again received by their Principals and delegations of senior teachers. Day 5 saw Kenny conduct a simultaneous exhibition at the East Park Mall. He interacted with the wider chess populace at this event where he took on 24 opponents at the same time. 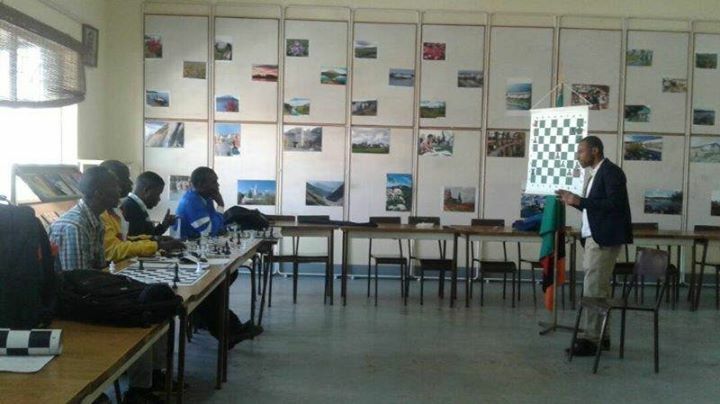 His opponents included some of Zambia’s most promising junior players who were very keen to have an encounter with a Grandmaster. The exhibition was strategically held at the East Park Mall which ensured exposure to the large number of people passing by to do their weekend shopping. The trainers were all at hand to explain the basics of the game to interested people and explain what the CMAT program was trying to achieve. It was interesting to note that this was the first time that many people learned that there was in fact a co-founder behind Microsoft! The exhibition lasted approximately 4 hours with Kenny ultimately winning 20 games, drawing three and losing one. The only game Kenny lost was to one of the up and coming junior players by the name Sekelani Tembo. This was excellent motivation for Sekelani who has been brought up by his mother after he lost his father in a road accident at a very young age. 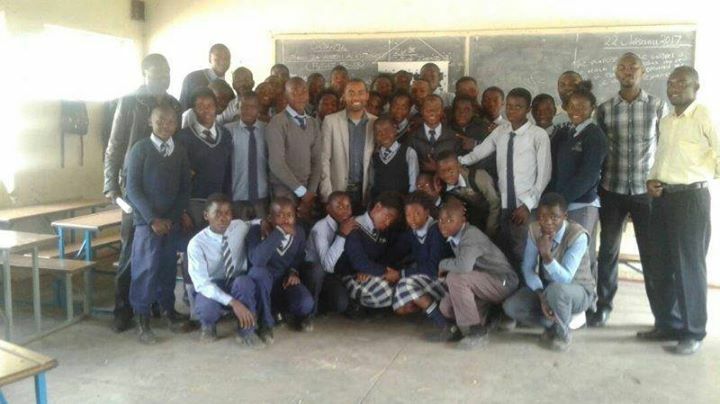 On the final day, Kenny visited the National Chess League and conducted one-on-one sessions with the Trainees. 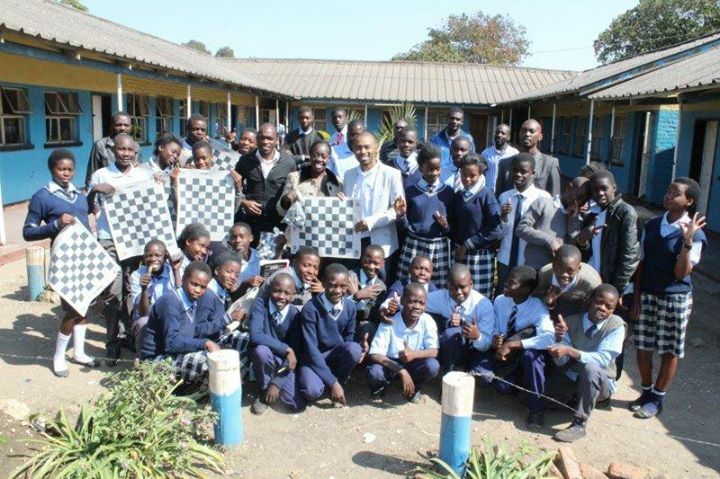 Almost every active chess player in Zambia was wanting to meet the Grandmaster to understand what he did to win the tough Zone 4.3 Chess Championships. In view of this, Kenny spent most of Sunday afternoon visiting with the chess players at the National Chess League held from NIPA. He openly gave personalized advice to chess players of all strength levels who were participating in the league games. 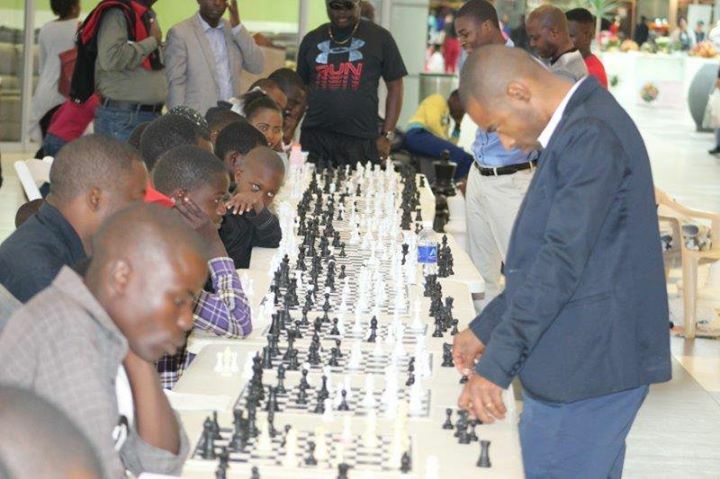 The President of the Zambia Chess Federation and Chairman of the Lusaka Province Chess Association received the Grandmaster and encouraged the players to take advantage of the rare opportunity. Kenny watched each of the CMAT trainees in action as they played their league games and ended the day with a series of one-on-one sessions in which he discussed the individual areas where he felt they could make improvements. The Grandmaster finally departed for Botswana on the 26th June where he would complete the final training sessions for the 2017 CMAT tour.